When the temperatures warm up, I have a repeat performance from the previous year. What is that you ask? I know you just can't wait to hear. I have no tops to wear. We have a swimming pool with chlorine, so it never fails, I ruin several tops. I have wet hands from putting in chlorine tabs and then wipe my hands off on my clothing. Just like Clorox, out goes the color. 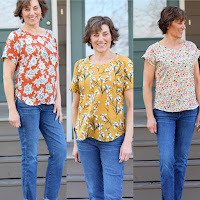 I love the Renfrew top for a quick sew but a great looking top for spring and summer. I have made the Renfrew several times before but I haven't for quite a while. My Navy and white stripe one is still a favorite and has been spared from the chlorine! I went with an unusual fabric for this top, Style Maker Fabrics' Crinkle Rayon Shibori Dyed Indigo. Not a knit but with the crinkle, I feel like it acts like a knit. 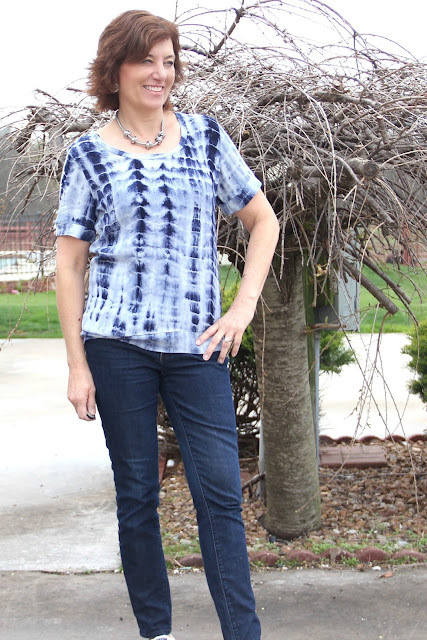 I love the shibori dye for this fabric and it makes a fun top. 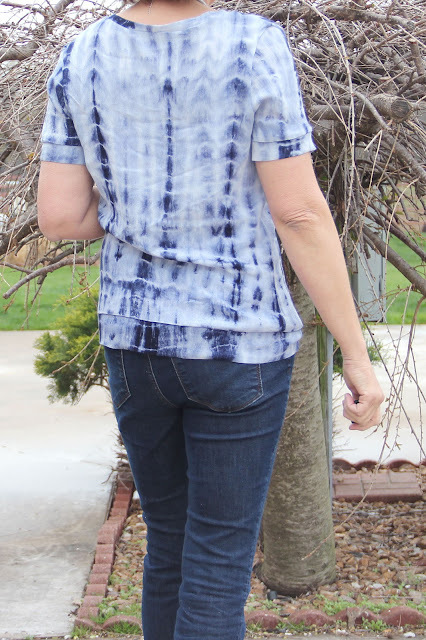 I did have to wash the top after sewing it to bring the neckline back into shape. 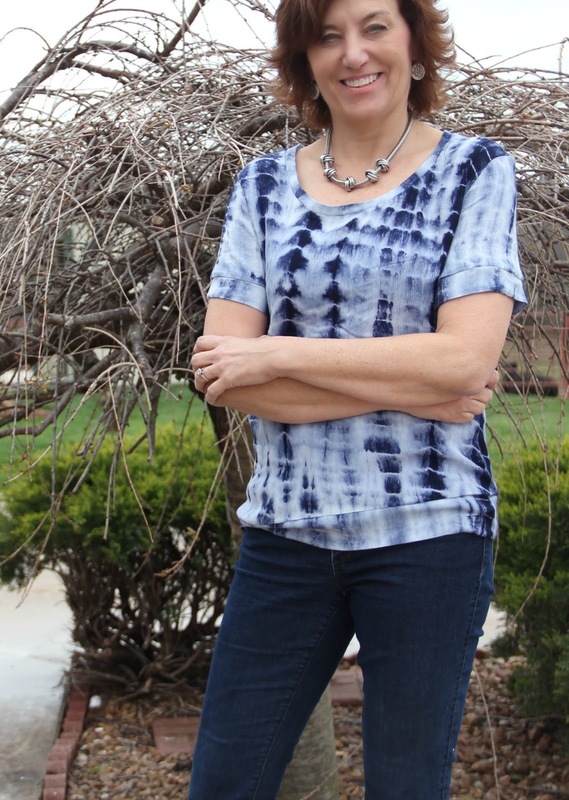 I love my new top and it will be well loved for the warmer temperatures. 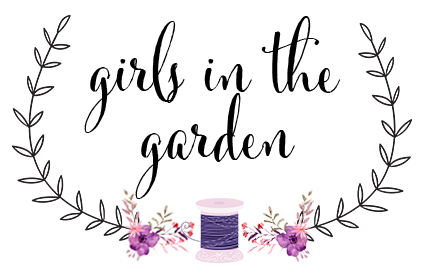 A note on making clothes and shopping for RTW, now I do like to go shopping and find RTW clothing. 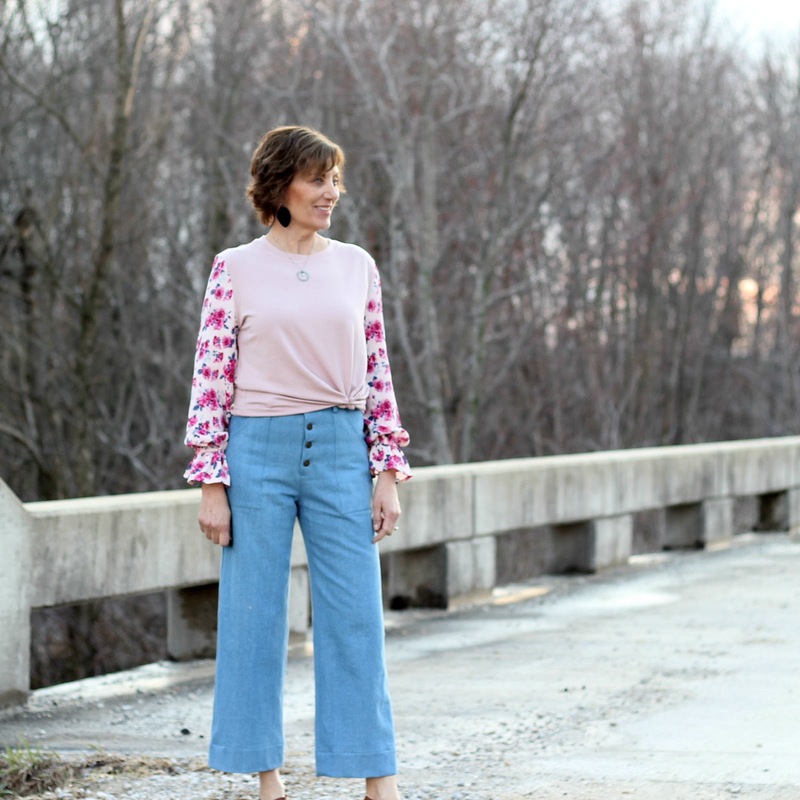 A nice mix of RTW and Me-Made clothing, that works for me. 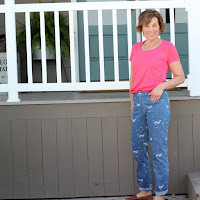 One thing I have noticed, I seem to have an impossible time finding good summer tops in RTW. When this happens, I go in Me-Made mode and make several quick tops to help the wardrobe. 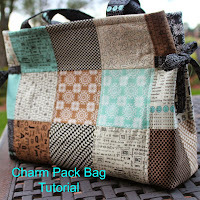 In fact, you will see another Renfrew for part of my Mood Sewing Network blog post tomorrow. What about you.... RTW or Me-Made for basics? Lori, this is a great looking top. I saw this fabric and wondered about it for a tee top. Now, I know it works well! I try shopping for RTW for basics and haven't had much luck this year. 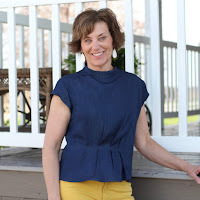 I guess it's time to clean the sewing machine and start cranking out some spring/summer tops. 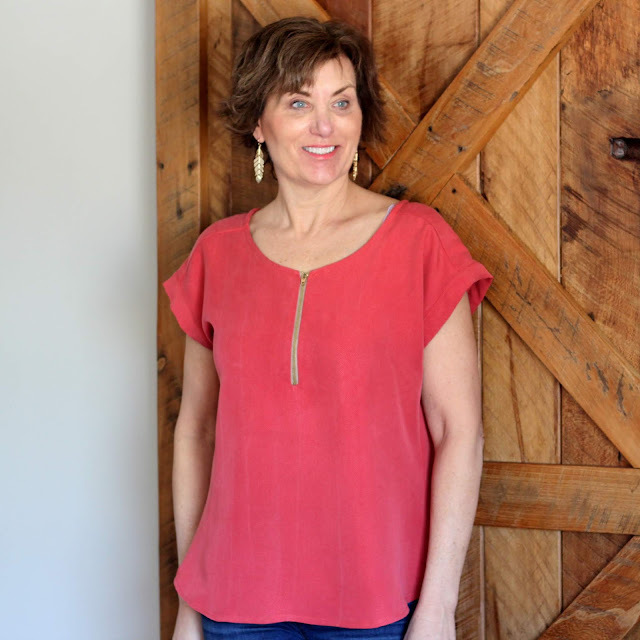 Lori - the fabric is everything for this top! Great basic addition to the wardrobe! 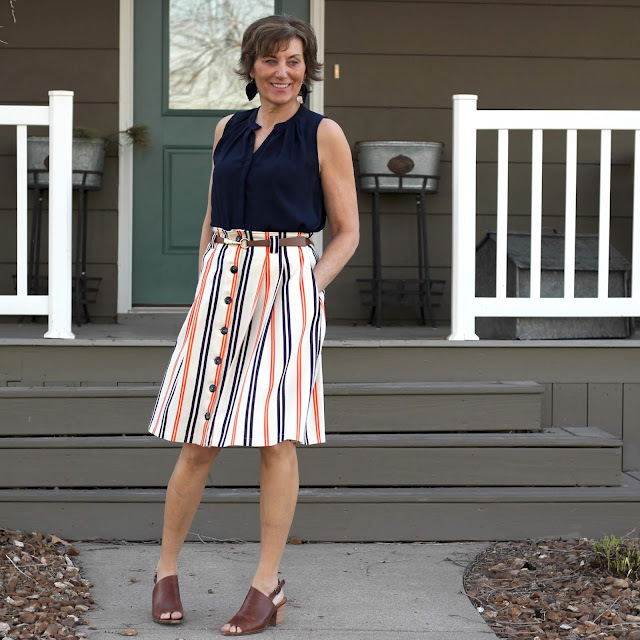 The fabric with the Renfrew are the perfect combination. After making my own basics, I don't think I can go back to RTW. Beautiful top. Love the interesting print. I make my own basics since RTW fits me terribly. 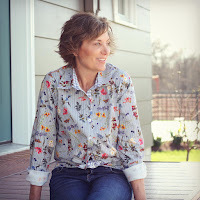 Love the fabric you used for this top! I need more tops and end up making and buying RTW.